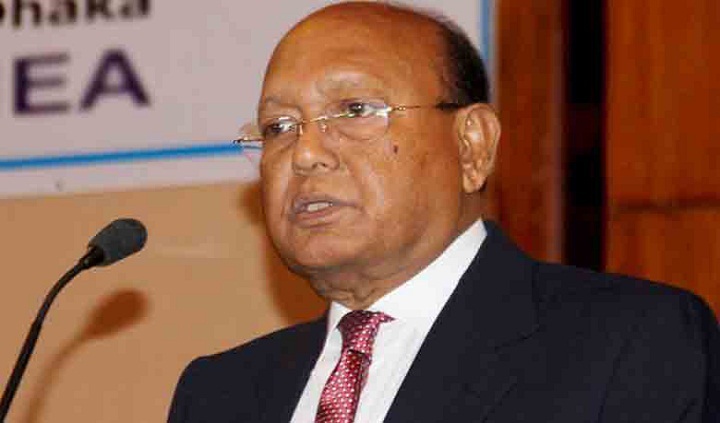 Awami League (AL) Advisory Council Member and Commerce Minister Tofail Ahmed on Tuesday said election is an internal matter of the country and foreigners never interfere in any country’s election, reports BSS. “Holding elections in the country is our internal matter. Foreigners never interfere in polls of any country. They did not interfere in the past and will not do in future,” he said, replying to a question from journalists in Daulatkhan upazila after distributing ‘longis’ and ‘sharees’ (clothes) among the destitute people marking the upcoming Eid-ul-Fitr. The minister said BNP is now going to India and other countries (over election), but this party had sheltered pro-Pakistan Indian separatists. BNP used to criticize India and even Begum Khaleda Zia did not meet with the then Indian President Pranab Mukherjee during his visit to Bangladesh, he added. “BNP sometimes demands supportive government and sometimes caretaker government for polls,” he said, adding that caretaker government will never come back in the country. BNP should take preparations for election, stopping other endeavors, Tofail said. Noting that the court has sentenced Khaleda, the minister said, “No political party or individual has sentenced her. So, the jail authorities will take necessary steps for her medical treatment”. Daulatkhan Upazila Chairman Md Manjur Alam Khan, Organizing Secretary of Bhola district AL Mainul Hossain Biplab and local Union Parishad Chairman Yeasin Litan were present on the occasion, among others.